Former UFC light heavyweight champion, and middleweight title challenger Lyoto “The Dragon” Machida is currently riding one of the worst streaks of his career. Having been brutally finished in his last two bouts by top contenders Luke Rockhold, and Yoel Romero, Machida just hasn’t looked himself as of late, and many were even wondering if it was time for the Brazilian legend to hang up his gloves. Bisping has compiled two-straight wins over the likes of CB Dollaway, and most recently Thales Leites, and he’s now set to meet No. 12-ranked Robert Whittaker at November’s UFC 193 from Australia. However, if Bisping can earn his third-straight win down under, a bout with Machida may make a lot of sense. Both men are veterans of the sport, as well as fan favorites, and each man could possibly provide the other with a solid test. 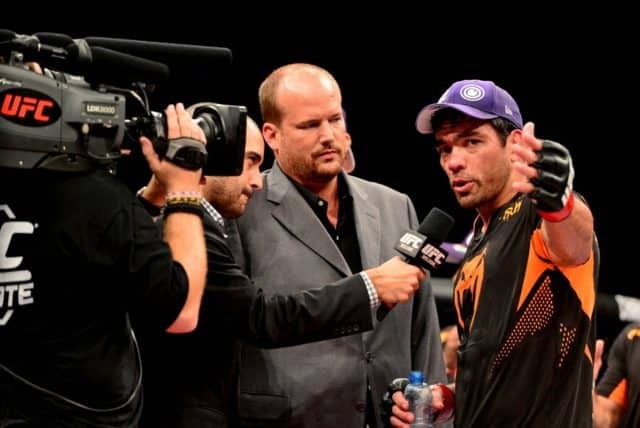 For Machida, a bout with “The Count” would give him a chance to prove that despite his recent hardships, he is still capable of hanging with the middleweight elite. 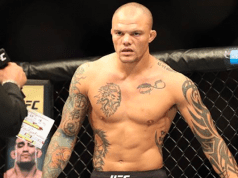 For Bisping on the other hand, Machida would provide a huge name, and a former champion that could be the polarizing Brit’s ticket to a long-awaited, and somewhat highly anticipated title shot. Not only does this potential bout make sense from a rankings standpoint, but the timing also makes since, as Bisping would probably be ready to go early next year, again assuming that he’s victorious at UFC 193. 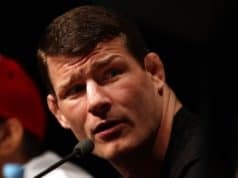 Would you like to see these two stars go to war, and who would you pick if they did: Bisping or Machida?